This week included a bunch of fun wines from near and far. Starting on the white side of the spectrum, the Anaba Viognier is a very crisp and tasty rendition of a grape variety that is much abused in California, often made as an unctuous, bitter, peach-flavored syrup rather than the crisp and fruity wine it could be. This one has all the acidity it needs to escape that trap. Speaking of escaping from a trap, the Airfield Estate's "Donald" Chardonnay successfully avoided over-oaking its Chardonnay, much to my delight, and the delight of those who prefer their Chardonnays taste like fruit instead of wood. Moving on to the reds, I've got a few of those from Anaba, from their Sonoma Coast Pinot Noir to their GSM red blend, to their dark Syrah from Sonoma's Moon Mountain District. I think my favorites are their Turbine Red, which is always a good value, and their Pinot Noir, though it leans slightly candied in this rendition. All are well made and worth seeking out. I've also got a trio from Nina Buty in Washington state this week, all different red blends at which Buty excels. My favorite I think was the Rockgarden Estate, which was a lithe and surprisingly delicate version of Mourvedre, Grenache and Syrah that begged for a slight chill before downing half a bottle over the course of a warm afternoon. From farther afield, I've got two Marchesi di Frescobaldi wines this week, their old vines Chianti Rufino and their Castelgiocondo Brunello, both nicely composed interpretations of Sangiovese that are aging beautifully. Finally, I've got a couple more wines from Atlas Peak superstar Acumen wines -- their flagship "Peak" bottling, and their less expensive "Mountainside" bottling. Both utterly delicious, slightly lower alcohol Cabernets made with finesse and restraint. Go get 'em! Notes on all these wines below. Palest gold in color, this wine smells of peaches, apricots and a hint of white flowers. In the mouth, bright flavors of apricot mix with a hint of orange peel and lemon pith. Excellent acidity keeps the wine fresh, and well away from the unctuousness that can mark poorly made versions of this grape. Tasty and bright. 14.2% alcohol. Score: between 8.5 and 9. Cost: $32. click to buy. Light gold in the glass, this wine smells of buttered popcorn and lemon curd. In the mouth, juicy lemon curd and grapefruit zest flavors have a shiny brightness to them thanks to excellent acidity. There's a faint buttered popcorn note on the finish, but other than that and the silky texture, the use of wood is subdued here. Delicious. 13.6% alcohol. Score: between 8.5 and 9. Cost: $40. Light to medium garnet in the glass, this wine smells of cedar and cranberries. In the mouth sweet oak and candied raspberry flavors have a nice brightness to them thanks to excellent acidity. Hints of cedar and a touch of candied citrus linger in the finish with cotton-ball textured tannins. Tasty, if a bit flashy for my taste. 13.8% alcohol. Score: between 8.5 and 9. Cost: $42. click to buy. Medium garnet in color, this wine smells of black cherry and a touch of cedar. In the mouth, rich black cherry flavors are draped in a fleecy blanket of tannins as darker earth flavors emerge through the fruit. Excellent acidity and nice balance. 45% Syrah, 41% Grenache, 9% Mourvedre and 5% Petite Sirah. 14.3% alcohol. Score: between 8.5 and 9. Cost: $36. click to buy. Dark garnet in the glass, this wine smells of black cherry and tobacco and earth. In the mouth, black cherry and cola have a spicy kick to them, as well as a deep rumbling earthy bass note. Excellent acidity, with tight tannins and a hint of green herbs in the finish. A blend of 83% Cabernet Sauvignon and 17% Syrah. 14.3% alcohol. Score: around 9. Cost: $50. click to buy. Dark garnet in the glass, this wine smells of cherry and forest floor. In the mouth, cherry and a deep spicy earth character mix together under a gauzy blanket of tannins. Good acidity, but the wine has a narrowness of flavor that may need some time to relax. A blend of 19% Cabernet Sauvignon, 3% Mourvedre and 78% Syrah. 14.6% alcohol. Score: around 8.5. Cost: $60. click to buy. Medium garnet in color, this wine smells of cherry and cocoa powder and blackberries. In the mouth, a nice mix of cherry and blackberry flavors has a wonderful brightness to it thanks to excellent acidity. Bouncy and buoyant, the fruit careens about the tongue under a gauzy skein of tannins. Delicious and gulpable. 75% Mourvedre, 17% Grenache and 10% Syrah. 13% alcohol. Score: around 9. Cost: $48. click to buy. Medium ruby in the glass, this wine smells of leather and cherry and mulling spices. In the mouth, cherry, sandalwood, incense and dried flowers have a juicy brightness thanks to fantastic acidity. Tight, muscular tannins are fine grained and give the wine great structure and poise. A hint of bitter orange and herbs lingers in the finish. 14.5% alcohol. Score: around 9. Cost: $60. click to buy. Medium to dark ruby in the glass with just a hint of purple, this wine smells of raisins and black cherries and a touch of flowers. In the mouth, juicy cherry and black cherry flavors have a nice herbal undertone to them and are bursting with acidity and freshness. There's a nice cool mineral quality that lingers in the finish with the faintest hint of tannin and orange peel. 13.5% alcohol. Score: between 8.5 and 9. Cost: $25. click to buy. Dark garnet in color, this wine smells of cherry and dark-chocolate-covered almonds. In the mouth, cherry and tobacco and cola flavors are draped in a heavy blanket of suede tannins. Excellent acidity and a nice deep fruit depth. Will reward a few years in the cellar. 13.9% alcohol. Score: between 9 and 9.5. Cost: $150. click to buy. Dark garnet in color, this wine smells of sweet cherry and vanilla. In the mouth, bright and juicy cherry flavors have fantastic energy thanks to excellent acidity. Muscular, powdery tannins coat the mouth, as the pure fruit soars across the palate. 13.9% alcohol. Score: between 9 and 9.5. Cost: $65. click to buy. Dark garnet in color, this wine smells of crushed peppercorns and cassis with a hint of violets. In the mouth, black cherry and cassis have a peppercorn spiciness to them that turns slightly bitter towards the finish. Good acidity and taut, slightly muscular tannins. 14.9% alcohol. Score: around 8.5. Cost: $48. 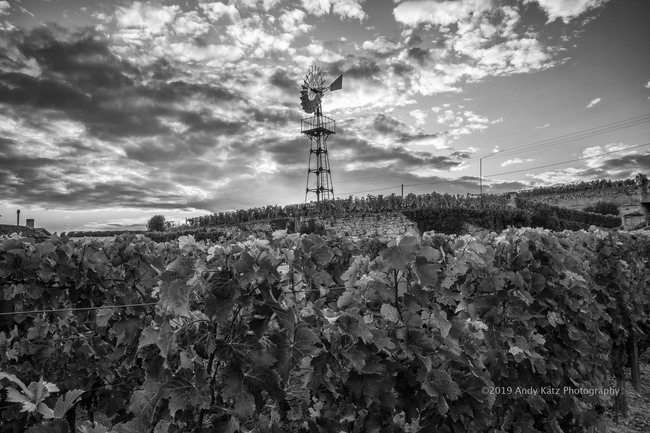 GIRONDE, FRANCE: The estate's iconic windmill stands watch over the vines at Chateau Ausone in Gironde on Bordeaux's Right Bank near Saint-Émilion. Ausone is one of only 4 wines classified as Premier Grand Cru Classé in the Saint-Émilion classification. I don't think they need to be told twice. Are native grape varieties the key to Japan's burgeoning wine industry? I'm not sold on Muscat Bailey A, Melinda Joe. Blake Gray profiles John Shafer. Easy to fall asleep, hard to stay asleep. They are definitely on trend for America. And it shall be called... Sparkletown. Right on. Warmer weather followed by chill means danger. Mike Dunne interviews the region's champion. And it's so much better than it used to be. At least the first 10 minutes of it. Including his lauding of Pancho Campo ! Not hugely substantial. English wine - in a hole over nomenclature? Jancis says everyone should just agree on something. Napa Plan Denounced as "Land Grab"
I don't think Tuvalu agrees. A nice profile with lots of tasting notes. Wink Lorch begins her profiles of the Savoie. Alfonso does a reality check. Shana Clarke reports from VinExpo. What a name for a region! Why are sommeliers so influential? Robert Joseph has got a pin to sell you. This week included a couple of supremely good Napa Cabernets. Let's start with the Spottswoode Lyndenhurst, which is that small estate's "second label" wine -- less expensive and generally a little more open and accessible upon release than the estate's flagship Cabernet. But don't let that lull you into thinking it's a frivolous bottling. This is serious and seriously good Cabernet. While we're talking Spottswoode, they also sent through their Sauvignon Blanc, which is a blend of fruit from Napa and Sonoma Counties, and pretty much everything you want a California Sauvignon Blanc to be, but without the surfeit of oak that often accompanies such wines. It's fantastic. Speaking of fantastic, I continue to be extremely impressed with the wines from Acumen, in particular their single vineyard bottlings of which this Attelas Vineyard is my favorite. Made up on Atlas Peak, these wines are beginning to set a standard for that AVA in a big way. Moving on to some other reds, I've got two from the Symington Family in Portugal, who own the Quinta do Ataíde, where they make dry red wines from the steep hillsides of the Douro. One is almost entirely Touriga Nacional, while the other is a blend of the traditional grapes grown in that region. Both are worth seeking out, especially given their prices. Lastly, I've got two wines from Washington state. One from Nina Buty and her eponymous winery -- a single-vineyard red blend of Cabernet and Syrah, and the other a Merlot from 14 Hands in the Horse Heaven Hills AVA. Both are tasty examples of what Washington has to offer. Medium to dark ruby in color, this wine smells of cherry and leather and dried flowers. In the mouth, wonderfully juicy cherry and leather and sandalwood flavors have a nice stony bass note beneath them. Excellent acidity, and lightly leathery tannins. A touch of citrus in the finish. 13.5% alcohol. Score: between 8.5 and 9. Cost: $45. click to buy. Palest gold in color, this wine smells of candied green apple and honeysuckle. In the mouth, electrically bright green apple and kiwi flavors are shot through with lime juice and honeysuckle. Fantastic acidity and a nice floral note linger through the finish. Delicious. 14.3% alcohol. Score: between 9 and 9.5. Cost: $42. click to buy. Dark garnet in the glass, this wine smells of mulberry and blackberry fruit with a hint of bergamot. In the mouth, juicy, bouncy flavors of mulberry and cherry and plum have a nice earthy dryness to them. Powdery tannins coat the mouth and linger with a striking hint of mineral dust in the finish. 14.5% alcohol. Score: between 8.5 and 9. Cost: $ . click to buy. Dark garnet in the glass, this wine smells of black cherry and blackberry fruit. In the mouth, blackberry flavors mix with chopped herbs and a darker, stony earthiness. The fruit leans a bit towards the raisined end of the spectrum, and indeed, flavors of chocolate covered raisins linger in the finish. Powdery, but muscular tannins. 14.5% alcohol. Score: between 8.5 and 9. Cost: $ . click to buy. Dark garnet in the glass, this wine smells of rich, ripe cherry fruit and exotic flowers. In the mouth, juicy cherry and cola flavors have a mouthwatering complexion, with excellent acidity, fine grained tannins, and wonderful earthy notes that linger with a touch of licorice in the finish. 14.4% alcohol. Score: between 9 and 9.5. Cost: $85. click to buy. Dark garnet in color, this wine smells of sweet cherry and flowers. In the mouth, gorgeously bright cherry and tobacco and cola flavors are nestled into a suede-glove of tannins, which slowly closes its fist as the sweet fruit lingers on the palate. Fantastic acidity and balance. 13.9% alcohol. Score: around 9.5. Cost: $ . click to buy. Dark garnet in the glass, this wine smells of wet earth and dark fruit. In the mouth, plum and green herbs mix with a touch of crushed nuts and earth. Excellent acidity and a remarkable green olive note in the finish round out a surprisingly savory wine. A blend of 59% Merlot and 41% Cabernet Franc. 14.2% alcohol. Score: between 8.5 and 9. Cost: $45. click to buy. Dark garnet in the glass, this wine smells of a bit of barnyard and struck match. In the mouth, plummy, cherry flavors mix with espresso notes and a touch of herbal bitterness that creeps into the finish. Good acidity. 14.9% alcohol. 794 cases produced. Score: around 8.5. Cost: $35. click to buy. Regular readers know that I'm in the habit of plugging public wine tasting events for the sole reason that they are among the best ways to learn. Educating your palate through the comparative tasting of 40, 50, or 70 wines over the course of several hours has no equal when it comes to helping you put your finger on a grape variety, a region, or a style of winemaking. 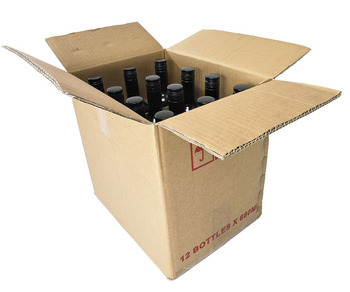 Perhaps the most helpful of such tastings are those that provide a large number of wines of a similar type or kind. Most of the time, such tastings are centered around a particular grape variety. Zinfandel, Pinot Noir, Rhone varieties -- such tastings abound. Tastings that focus on a narrowly specific place, on the other hand, seem much less common. And public tastings of a wide variety of producers from one of Napa's most storied appellations? That's rare indeed. Which is why you should seriously consider attending the upcoming tasting of more than 30 producers who make wine in the Howell Mountain AVA of Napa. Howell Mountain sits on the eastern side of Napa Valley, north of the palisades that make up Pritchard Hill and the Stag's Leap District. Rising steeply off the valley floor and sitting above the typical level of fog, this hillside growing area has warmer nights and cooler days than the rest of the valley. While it gets more moisture, the soils are also much less fertile, with a higher percentage of rock than the valley floor, resulting in generally drier conditions for the grapes, and therefore less disease pressure. Perhaps too much is sometimes made of so called "mountain fruit" but it is possible to say that the grapes grown on these rolling slopes tend to be slightly higher in acidity, and are often harvested at lower alcohol levels than the grapes on the valley floor. Howell Mountain plays host to a number of truly excellent producers, many of whom don't have tasting rooms that may be visited by the public. The chance to taste a lot of these wines side by side is a real treat, and one that any Cabernet lover shouldn't miss. 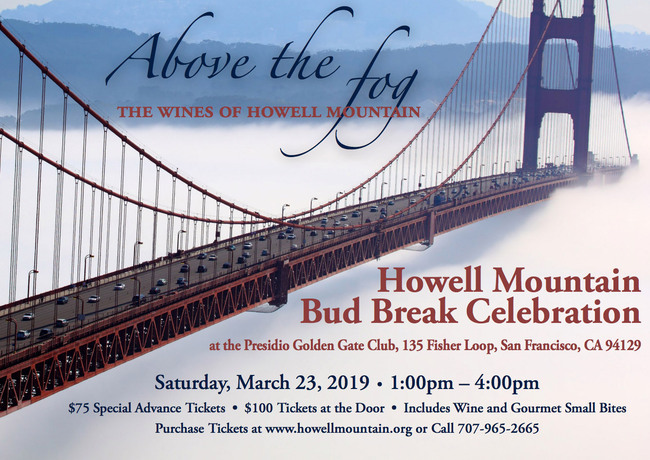 Producers pouring at this event include: Angwin Estate Vineyards, Arkenstone, Black Sears, Bremer Family Winery, CADE Estate Winery, Charles Krug Winery, Cimarossa, Clif Family Winery, Cresta Velia, Haber Family Vineyards, Hindsight Wines, Howell at the Moon Winery, Howell Mountain Vineyards, KrisTodd Vineyards, Ladera Vineyards, Mirror Napa Valley, Moone-Tsai Wines, Notre Vin, Paravel Wines, Pestoni Family Estate Winery, Piña Napa Valley, Pine Ridge Vineyards, Red Cap Vineyards, Red Thread Wines, Retro Cellars, Robert Craig Winery, Sbragia Family Vineyards, Seek, Selah Wines and Summit Lake Vineyards & Winery. Tickets for the event are $75 in advance or $100 at the door. They can be purchased online. My usual tips for such tastings apply: arrive well fed and well hydrated; wear darker clothes to avoid the occasional red wine stain; leave the perfume or cologne off; and spit if you want the event to be more educational than intoxicating. 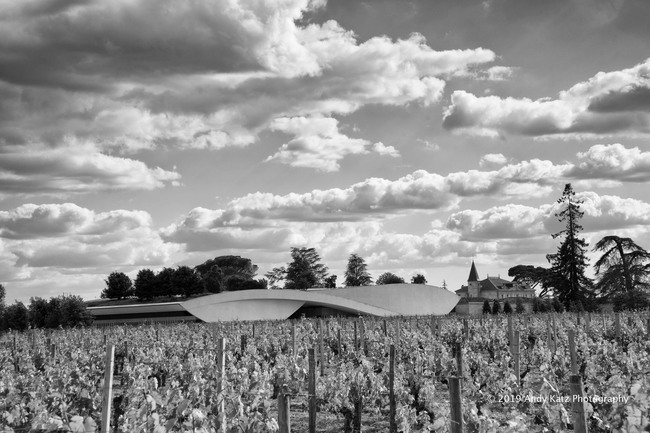 SAINT-ÉMILION, FRANCE: Like a wave perpetually breaking on a sea of surrounding vines, the winery designed by Christian de Portzamparc sits between sky and vineyard at Chateau Cheval Blanc. Cheval Blanc, which means "white horse" in French, is one of only four estates elevated to the rank of Premier Grand Cru Classé in the classification of Saint-Émilion wine. Episode 461 of I'll Drink to That! was released recently, and it features Pierre Morey, whose family runs Domaine Pierre Morey and the micro-négociant Maison Morey-Blanc, both located in Meursault, within France's Burgundy region. Over the course of his career Pierre Morey has worked with and farmed an astonishing roster of top white Burgundy vineyards, encompassing the most famous Meursault Premier Crus (Charmes, Genevrières, and Perrieres), Premier Crus in Puligny-Montrachet (Pucelles, Folatières, Combettes, and Clavoillon), and Grand Crus including Bâtard-Montrachet, Chevalier-Montrachet, and Le Montrachet, the last of which Pierre worked with in two different parts. Pierre, whose family runs a domaine producing distinguished wines from a relatively small amount of vineyard holdings they own themselves, gained experience as a sharecropper for Comtes Lafon in Meursault and as regisseur for Domaine Leflaive, and it was through these roles that he found access to some of the most famed vineyards in the world. It is a rare person who has made wine from both the most admired vineyards of Puligny-Montrachet for decades as well as from the most esteemed crus of Meursault for decades, and Pierre Morey is that person. He is also quite humble, reflecting the life experience of someone who remembers when conditions in Burgundy were not always prosperous. This humble personality, combined with reflections and thoughts on some of the best vineyards in the world, makes for a compelling listen. Should you wish to know what it is like to vinify Le Montrachet, listen to what Pierre has to say about it. Listen to the stream above, or check it out on Apple Podcasts, YouTube, Spotify, or Pandora for your mobile device. A nice bit from Jordan with photos. Alfonso writes a love letter. How to launch a $3,000 bottle? Does the world need Wine Paris? Who knows. But does Paris need it? Should the wine industry use gene technology? Steve Smith on the subject. Geneva, New York, that is. What's next for the Queen of Pinot? Liza Zimmerman charts the DTC change wave. Lots to love in Walla Walla. WARNING: Only for physics geeks! Is Louisa Smith S.F. 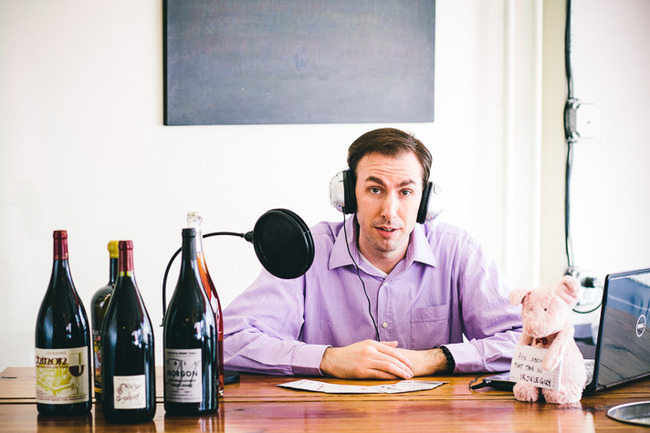 's most radical restaurant wine director? Is pouring natural wines quietly a radical thing? What's The Gunk in My Wine? It's extra vitamins and minerals! Interesting business. But can it scale? Even Harvard doesn't understand the wine industry. Excellent news about families with conscience. Turley turns out a Cabernet. Tom Mullen attempts to keep us current. The anti-alcohol lobby grows insidiously. Elin McCoy picks her fave Francs. Robb Report doesn't know how to spell To Kalon. By any other name it would smell as sweet. Organic vs. Natural Wine: What's the Difference? Newsweek attempts to answer the question. Chilly Tuscany with warm wines. Cathy Huyghe interviews the Formans. Eric Asimov cranes his neck. Liza Zimmerman watches prices climb. Lauren Mowery pens a primer. Hanna Wallace digs in the vineyard. 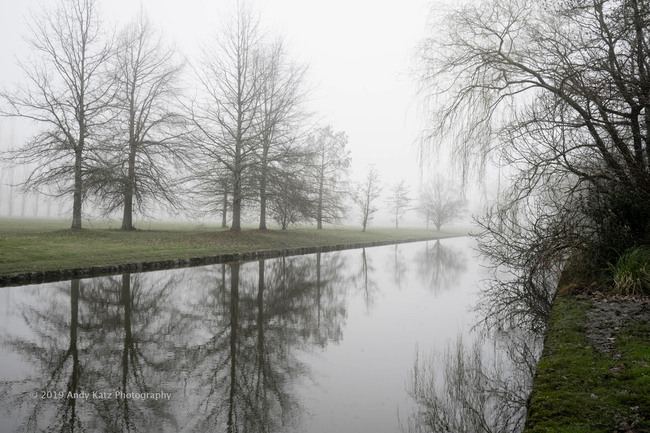 MARGAUX, FRANCE: Winter-bare trees emerge from the morning mist along a canal on the grounds of Chateau Margaux. Margaux is one of four original Premier Grand Cru classé wines according to the famous 1855 Bordeaux Classification. The estate is located in the commune of Margaux on the left bank of the Garonne estuary in the Médoc region, in the department of Gironde. How much difference can there be between critics? 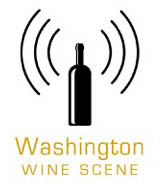 Washington Grape Growers Witness the Farthest Reaches of "Stupid"
Big, bold, tannic, says Jane. Not sure about that, but they are talking it up. Profiles of some of the world's oldest vineyards. Bill talks with Paul Mabray. Struth, as Shakespeare would say. Doubling down on CA Pinot. Wine can be honest and authentic without being "natural"
The tale of White Zinfandel. 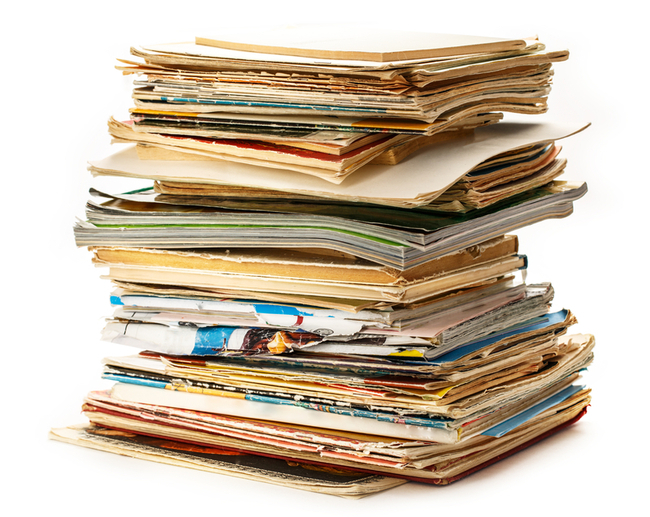 Jancis makes this article free in remembrance. One hot summer follows another. Price per bottle stays strong. The annual wine tasting challenge results.